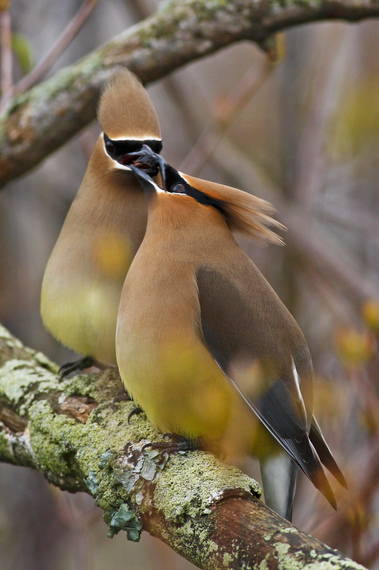 “Birding is increasingly popular as a means to be in the wild and see wildlife. Unfortunately, this has an impact on the birds”… How about we change that? Birding is increasingly popular as a means of enjoying wildlife, but we have to remember the impact this may have on the birds. Respecting the habitat and the bird’s welfare is the number one ethical rule for anyone enjoying the activity of birding or photography. It is easy to get caught up in a moment of excitement or ignorance and forget to behave mindfully. Here, we are presenting further details, considerations, and requirements for when you’re out there with the birds. Keep in mind that the general EwA Wildness Etiquette also applies to Birding. Since the year 1500, we have lost over 150 bird species – an extinction rate far higher than the natural background. Today, one in eight bird species (13%) is threatened with global extinction, that amounts to 1,375 bird species. 218 species of those are Critically Endangered, including 18 which are tagged as possibly extinct or possibly extinct in the wild. The IUCN Red List assessments show that things are getting worse. Particularly alarming are sharp declines in many formerly common and widespread species. This is a signal of wider environmental problems, and of the erosion of biodiversity as a whole. Knowing is Caring: Learn before you go. 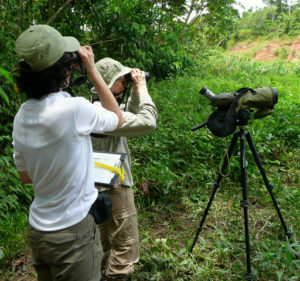 Visit birding locations well prepared so as to minimize your impact, and maximize safety for anyone (birds included) as well as for the enjoyment of everyone. Enjoy! It is critical that we keep habitat disturbance to a minimum. ▸ Respect the designated viewing areas, the roads, paths, and trails where they exist.  ▸ Don’t trample vegetation: animals forage and live here. ▸ Don’t clear an area to see better, and certainly not around a nest as it may be providing camouflage and protection. Birds are subject to regular disruptions from the bird enthusiast before you and the ones that will come after you. So, be especially conscious of your actions around them.  ▸ Group size matters! Bigger groups are louder and more disruptive which increases stress to the birds. Keep birding parties smaller to limit impacts on the bird’s behavior and habitat. ▸ Watch for changes in behavior that might indicate that you’re too close and causing stress. Some birds will adopt an erect posture, start vocalizing, freeze, hunch into a protective posture, or even fake injuries. If you see possible signs of stress, back off. ▸ Don’t incite a reaction. Never approach a bird with the intent of making it fly. ▸ Keep your distance! Especially around nesting and colony sites, feeding grounds (e.g. parrot clay licks), and mating display leks.  Make good use of your binoculars, scope, or zoom lenses rather than approaching closer. Note that if you’re using a macro or a wide angle lens you are in essence too close (even if operated remotely). Telephoto lenses of at least 500 mm are recommended. ▸ Not usually thought about, but dress appropriately and prefer drab, muted colors. It’s not just about the birds it’s about wildlife in general. Bright and flashy colors are distracting (taking their attention away from their activity), and for some birds, it might be even a true nuisance. For instance, do you know that common cranes are sensitive to colors (and sound), and may even change nesting behavior and flight patterns to avoid them? ▸ Oh and before we forget: Don’t handle birds… Why? See our next rule. ▸ Don’t touch. Parent birds may leave their chicks alone in the nest for long periods of time while foraging. They are not abandoned. When we touch them, we leave behind a scent that may attract more predators. ▸ Resist. What if the chick is not in the nest? Again, this does not mean they are abandoned. Depending on the species and their developmental stage, this is a normal behavior. For instance, many species of birds such as robins, scrub jays, crows, and owls leave the nest and spend as many as 2-5 days on the ground before they can fly. This is a normal and vital part of the young birds’ development. 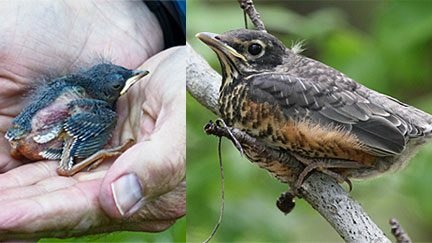 While they are on the ground, the birds are cared for and protected by their parents and are taught vital life skills (finding food, identifying predators, flying). ☎ ▸ Best is generally to avoid contact and call the local wildlife care center instead. Prepare: Find that number and email before you go so that it puts your mind at ease. If no one answers that call, then make a note of the location, take a pic, and send it. Let’s remember that feeding wild birds overall reduces their chance of survival.  ▸ Simply put: our food is bad for them. And if throwing bread crumbs to birds seems like fun, well… bread actually hurts birds more than it helps them. It’s basically the equivalent of junk food for a bird. Birds fill up on it and no longer have the hunger to forage on what nature intended: insects, aquatic/terrestrial plants and for some species, fish. Sugary food should also be avoided. ▸ Don’t incite an action with food baiting (or with anything really). Never lure a predatory bird with live bait or with decoys. Baiting changes the behavior of these birds in a way that is harmful to them. Again the best actions are those which happen naturally.  #DYK — Why Would a Bird Eat Clay? Some birds are known to eat clay, such as these Blue-and-yellow macaws below. This is called geophagia. It is unclear which function is driving avian geophagy. However, evidence is mounting that sodium is the more important driver among parrots in southeastern Peru. 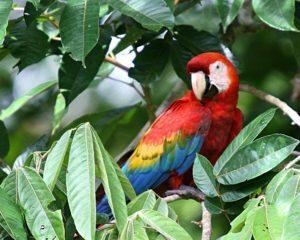 Parrots are known to eat toxic foods globally, but geophagy is concentrated in very specific regions. Scientists have shown that parrot geophagy in South America is significantly positively correlated with distance from the ocean. This suggests that overall lack of sodium in the ecosystem, not variation in food toxicity, is a better predictor of the spatial distribution of geophagy in this system. ▸ Do not use flash: it induces stress and can make them vulnerable to predation. Flashes at night may temporarily limit a nocturnal bird ability to hunt for food or avoid predation.  ▸ Prefer a red over a white light at night. Night walks using light torches that are not specifically made to avoiding disturbing wildlife have a negative impact. 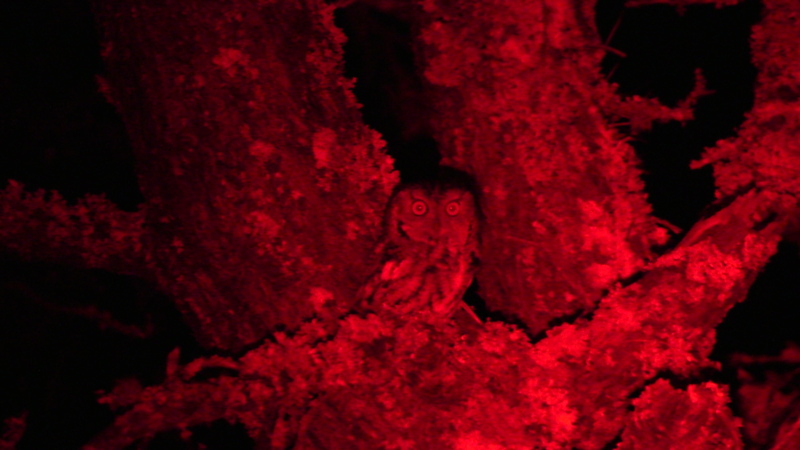 For nocturnal birds, white light disrupts their nocturnal activities. For nonnocturnal birds, using white lights at night disturb their sleep and might mess up their internal clock. Use red light instead! But why is red light ok?! Humans have three types of cone cells which have peak sensitivities to blue light(S-cones), green light (M-cones) and red light (L-cones). It is our red sensitive L-cones that enable us to see red when we use red light at night. 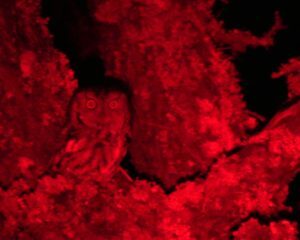 However, the retinas of most nocturnal animals do not have L-cones and this means that they are not affected when we illuminate them using red light. ▸ If you’re out with a guide, follow their rules. However, challenge respectfully if they’re using white light or otherwise operating unethically. The best actions happen when we observe quietly. ▸ In general, limit the use of recordings and other methods of attracting birds. You should never use such methods in heavily birded areas or to lure any species that is Threatened, Endangered, of Special Concern, or rare in the area. Using sound should also be avoided during nesting season. Sound harassment is not ok. Pishing or playing bird calls and songs from any device is harassment when overdone. It distracts the birds from spending their energy on activities, such as foraging or territory defense, and can cause stress. It can also unnecessarily expose birds to potential predators. Think about the birders that come along before and after you. If frequent visitors are using sound to attract birds, they are not isolated events and are regularly disrupting bird behavior. ▸ Under no circumstance, we should lure a bird by sound when the bird is endangered, or when the bird is at a critical point in its nesting behavior. 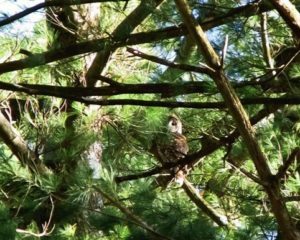 Before sharing a sighting, think about the potential impact on the birds and their habitat. ▸ Before sharing, pause and think. It’s certainly not about keeping a sighting for oneself, it’s more about being mindful for the bird. 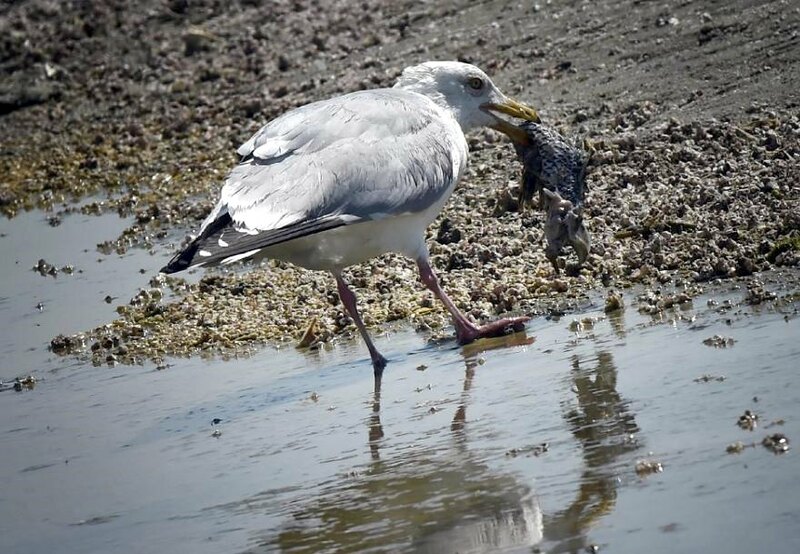 It’s gauging our immediate environment and estimating if the crowd around would come running to see that sighting, therefore potentially harming the bird and its surroundings. ▸ The downside of sighting apps. Same is to be said with using sighting apps to alert our fellow birders in the area. But we should all be able to enjoy that bird? Ideally yes, but no, not when there are hundreds of us… A recent story comes to mind where, in the South African Krueger national park, the park considered prohibiting the use of those apps. Why? Shared sightings caused visitors to rush to the site, creating overcrowded situations and car accidents killing wildlife. ▸ Be cautious when sharing location information of endangered and rare birds. Sadly, even scientists have to reconsider the mention of site studies, as poachers have used science papers to locate and capture rare wildlife, fueling the gruesome illegal wildlife trade.  8 million tons of plastic end up in our oceans every year. What it’s done to this island is a stark warning. We’ve been choking wildlife one piece of litter at a time, and now is the time to stop. The impact of our trash has been devastating on birds. Our trash, our plastic, finds its way to waterways and end up in all corners of the world. There are even human-uninhabited islands in the middle of the Pacific Ocean covered with litter and killing entire bird colonies. Waste such as discarded plastic, discarded fishing gear, rotten food, lead-based items such as bullet casing, metal and glass debris, harm wildlife. ▸ Dispose of your trash responsibly either at home or on-site in proper and tightly closed trash bins. ♻ ▸ Recycle what you can, and take it home if no recycling bins are available on site. ▸ Give a hand and collect (and dispose appropriately of) the trash that you find. Poisoning: e.g., lead, paint chips, heavily moldy food or cigarette butts can poison birds if ingested. Obstructing digestive system: small plastic items are mistaken for food, swallowed and then block digestive tracks. The bird can’t eat and starves to death. Habitat loss: waste accumulates, and take over prime habitat (as in the cases of dumps, islands, ocean gyres). Injuries: sharp glass or metal waste cut. Wildlife gets entangled in abandoned gear. ▸ When you witness ‘code-breaking’ or unethical behavior by visitors, guides, or even experts, don’t remain silent. Assess the situation and if you feel safe, then question their behavior and discuss the known consequences of it. Our silence will only deepen the issue and allow negative impacts to continue. If you are planning to visit birds and the wildlife around, please take the time to also check our general EwA Wildness Etiquette. Help the protection and conservation of the habitats and species you enjoy. Thanks! Sharing is Caring Share Spread the Word!